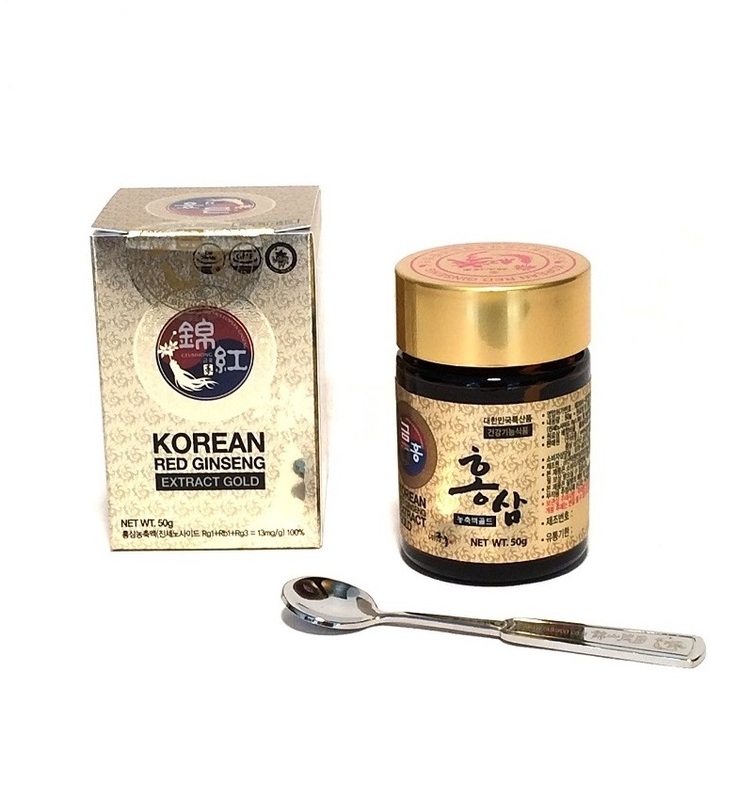 The Korean Red Ginseng Extract helps to strengthen the natural defenses, helps maintain brain function by stimulating circulation and invigorates the tired bodies, Click here to learn more about the benefits of Korean Red Ginseng. Our Korean Red Ginseng Extract Gold arises in the region of Geumsan, benefiting from ideal climate and conditions of cultivation for ginseng. Its mountain valleys make it the best region of South Korea for the culture of the ginseng. 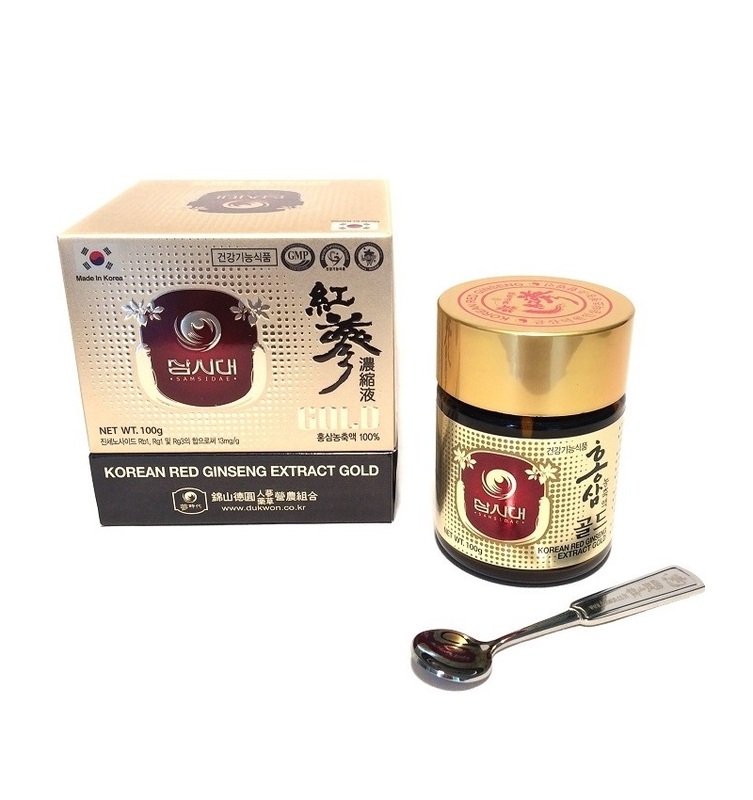 Our Red Ginseng Gold is a 100% natural extract obtained by steaming 6 years old ginseng roots. The crop quality makes it one of the best rates of ginsenosides (ginseng active ingredients) and our Extract Gold is the best quality of Red Ginseng made in Korea. Take one teaspoon of extract (1g) diluted in cold or warm water 1 to 2 times a day.